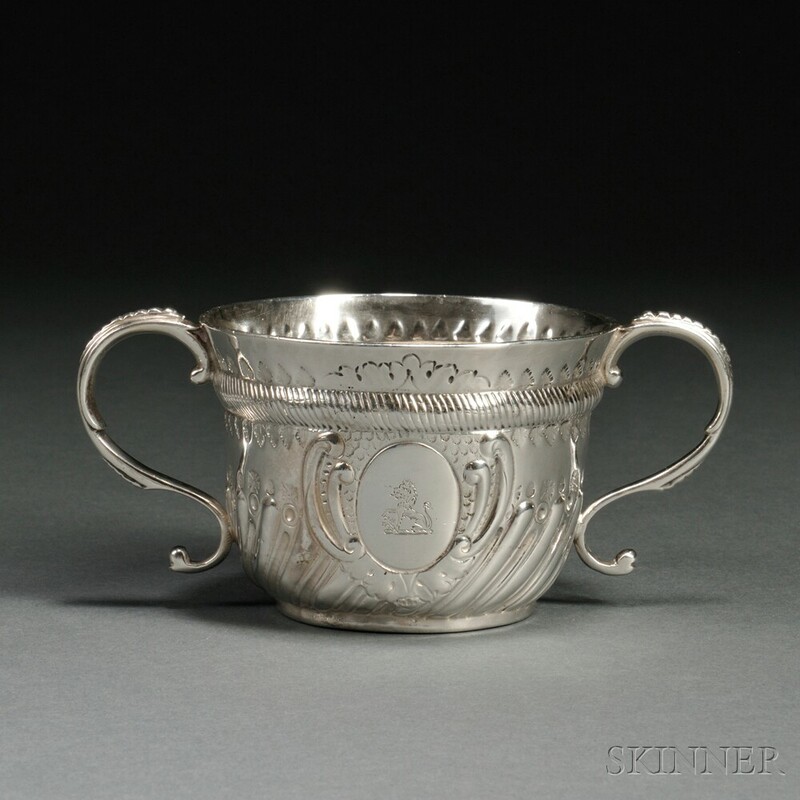 George II Sterling Silver Two-handled Cup, London, 1731-32, Francis Spilsbury, maker, with scrolled handles, a central medallion with an engraved armorial and gadrooned lower register, ht. 2 5/8 in., approx. 5.0 troy oz. One handle has been removed and re-attached in a slightly different position. Repairs to one seam and foot rim visible from the inside. Seams visible. 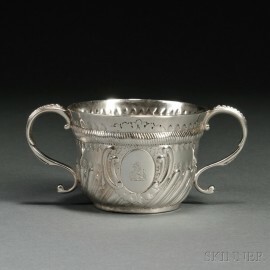 Medallion with armorial is thin. Age-typical wear.